It is frequent in life that we hear the term "emotional rollercoaster" but often I wonder what exactly does that mean? I associate rollercoasters with fun and excitement from my childhood but that term isn't supposed to convey that, is it? I think a better example of emotional pain should be described as climbing Mount Everest. It seems to go on and on and you think to yourself this is the toughest thing I've ever done. However, you know if you keep going and work through the sore legs, the lack of oxygen, the heavy pack, the pain will go away and you will come out a better person, learn from your experience, and work through it. One could even say that you will come out on top. I have never climbed Mount Everest but I imagine that must be what keeps people going through the pain, and the hardships and perhaps even loss on the mountain. Sometimes though emotional hardship there is an underlying murky darkness. It is a submerged feeling like a submarine driver in a blackened sea. Sometimes our reality is that getting out of bed to go make the coffee can be our Mount Everest for the day or our submarine of darkness. It's a choice to be made every day. Will I keep going up, keep climbing? Or will I let my emotional pain submerge me into darkness. Each morning I decide. Each morning I know I will take one more step up the mountain and not go down under the sea. Sometimes it feels like you can't breathe but that's okay, it means: go a little slower or grab that mask of O2 and keep on trekking or perhaps it's time to turn to your climbing buddies and signal, I need a little help. They can't carry your pack of pain but they can whisper in your ear it will be okay, just keep going. Today I am your mountain buddy. Today I am whispering in your ear. Today is the day to just keep Trekking. The Coffee is ready let's drink together so we can keep going. Let me know how the climb goes for you? I want to hear so I can whisper in your ear: Keep Going, You've Got this We're in this together. In a drip coffee maker add water and ground coffee. You will notice this is stronger coffee than you might usually brew. Fill Two ice cube trays with coffee and place in freezer. In a pitcher place room temperature coffee and place in refrigerator. Place in refrigerator until chilled. Once cooled add coffee syrup to taste. 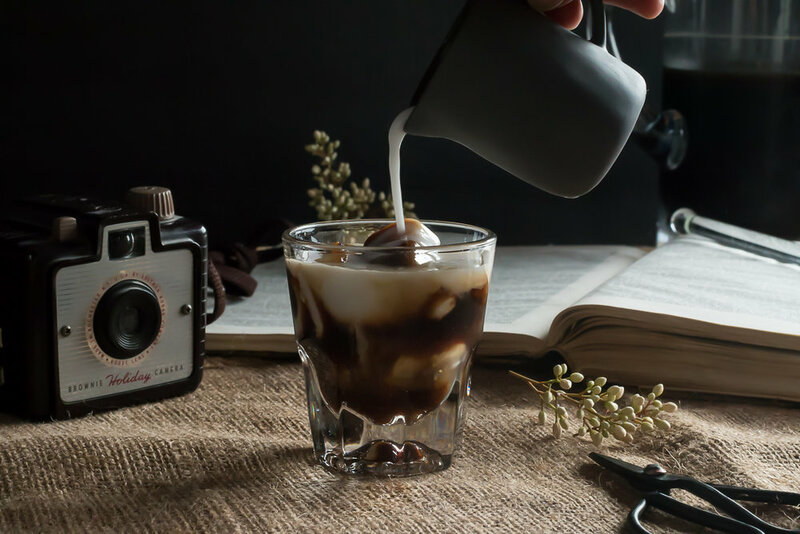 Place frozen coffee ice cubes in cup and pour cold coffee over the top leaving room for coconut milk. Pour coconut milk into cold brew and enjoy. 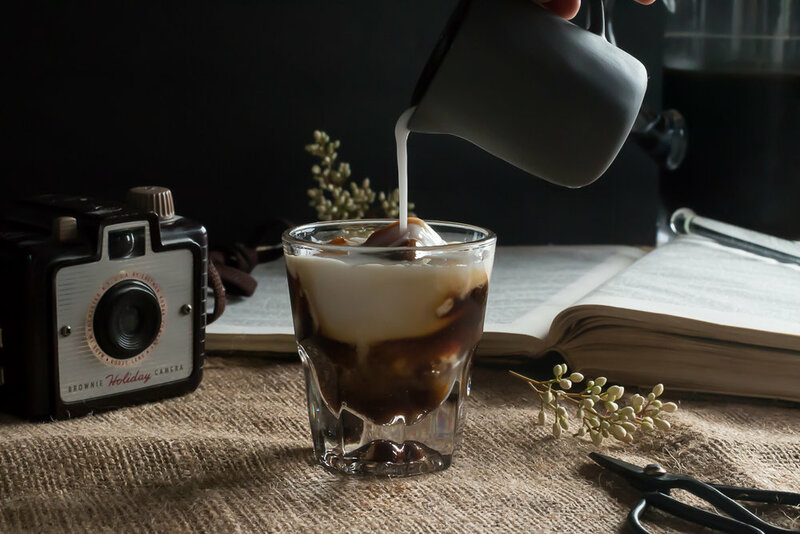 Cold Brew vs Iced Coffee- Cold Brew coffee is coffee grinds steeped in room temperature water for 24 hours instead of brewed hot. This is also good and makes a smooth coffee taste. 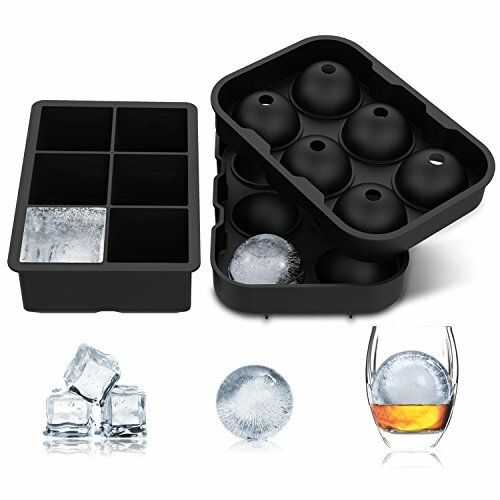 Ice Cube Trays have so many uses besides making coffee ice cubes you can use them for fresh herbs with olive oil to add to stews and soups, make broth cubes for making sauces, or make pesto and have it ready with ice cubes and let's not forget for Making great Cocktails!